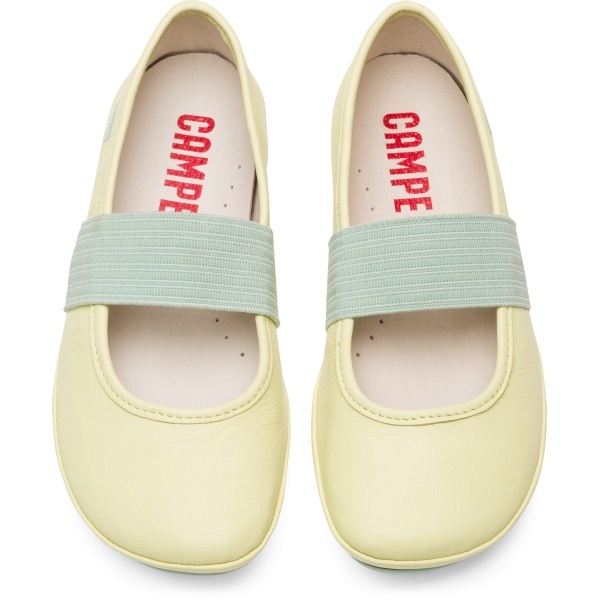 Making the most of a winning formula, these girls’ yellow shoes balance classic style and advanced ergonomics. Their smooth leather uppers are highly flexible thanks to their unique glove construction—made from one piece that wraps around the foot. 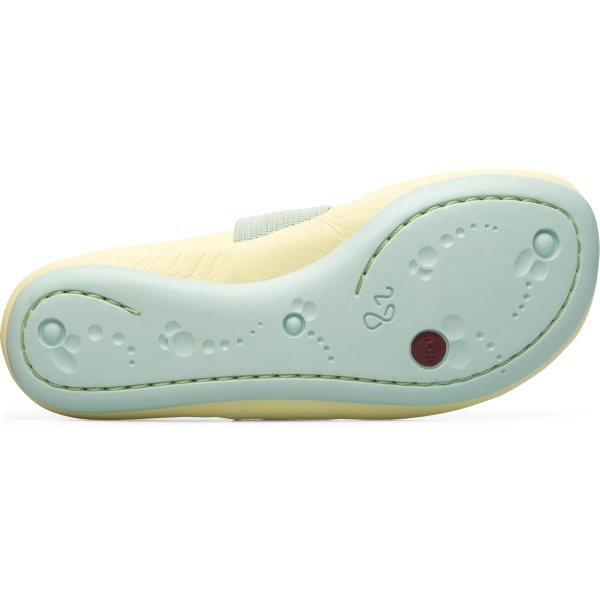 The grippy rubber outsole is stitched to make the shoe more durable, while a removable anatomic insole cushions the feet. The elastic strap, which ensures an easy and better fit, is made of 79% recycled material.